We spent the last two weeks working on two really big parts of the game: the game flow and the back-end. As seen in our previous updates, we had to plan out the full game flow from starting the game to playing it, as well as the resources and the victory conditions (the reasons why players win or lose). We spent a lot of time on each of them , then now we are putting all the parts together and making them all work in a way that makes sense. This involves adjusting the values to make them fun and right now, it’s not yet balanced. Thus we continue to playtest: if something’s not fun, we find out the cause, and then we adjust. The game flow begins by building an army, which you can do at the Choose a Regiment screen. Each faction has a hero, who has bonuses such as gold, or in some cases, gives you special abilities. 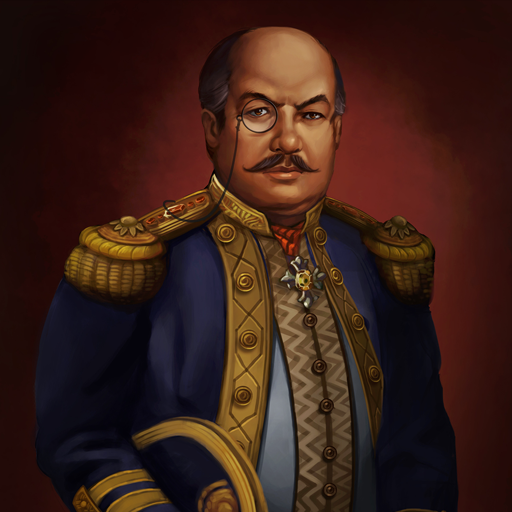 For example, Major Carl L’Averi leads the Redkeep faction , which is a colonial settlement ran by humans and elves. Redkeep has very straightforward units such as scouts, militia, and artillery. Carl has a Siegemaster bonus, which means it would be more difficult for enemies to take a city if you have him placed there. All other factions have their own heroes and minions. Ruma – An island halfway between the old and new worlds, which has become the center for trading and filled with pirates – one of them is our lead character, Olivia. The second major thing that we are doing is fixing the servers and getting multiplayer up and running. We have 4-player working now, but it still includes some broken stuff. For example, we found a bug wherein embarked units don’t take any damage (which Nelson exploited) and while some had -1 HP and never died (Ben’s immortal Chainsaw Shocktrooper) – so nobody won. The full unedited video of the 4P game is up on Youtube. Another thing we’d like to share is something that really plagues developers, which we also mentioned two weeks ago when talking about the game’s ideal game length. Same with art, we don’t always get on the same page. When artists are create the structures, characters, or map decals, they’re looking at the art way up close and make those that look good in that perspective. However, people play the game zoomed about. This is not a new problem – and it’s an amateur mistake that happens over and over again. It is partially a communication issue, but also partially because the people making the game don’t play enough of it. Sometimes we get WIPs of art in a gray screen, then the artist would ask, “Are these good?” The last thing a designer should say is yes. You don’t know if they are good, you just know that they are pretty – and pretty isn’t good. Pretty is just pretty. What you want to know is if they are good for the game, and to know that, you have to put them in the context of the game. If they don’t look good in the game, it doesn’t matter how pretty they are. They are not good, and the definition of good in game development is not if they are pretty, but if they achieve the goal that you’re trying to reach with this particular piece of art. 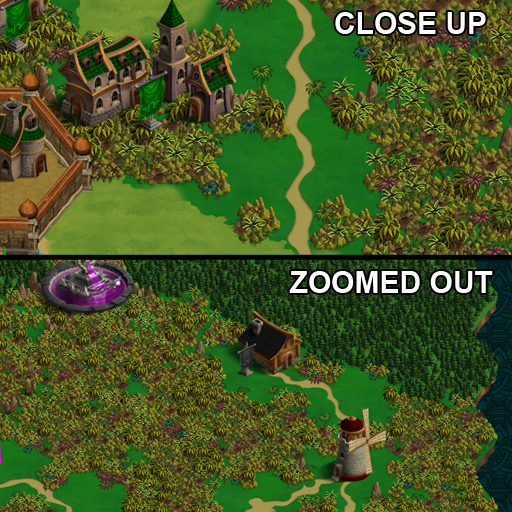 This is something we forget sometimes, so right now we’re working on altering the maps a bit and modifying some of the art to make them look better.